Dr. Dahlia O’Brien, Extension Small Ruminant Specialist, will be speaking on “Non-Chemical Alternate Approaches to Parasite Control in Small Ruminants” following a farm tour in South Boston, VA on Thursday June 26th. 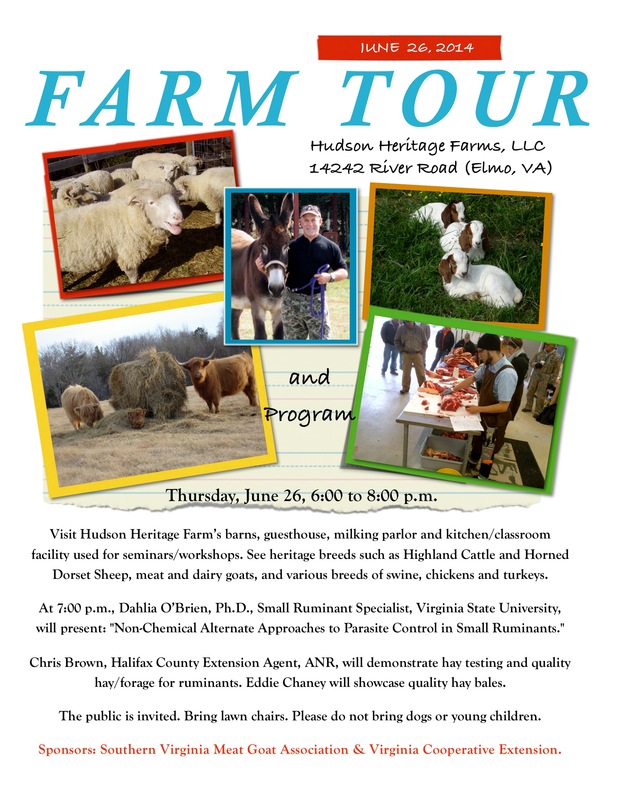 The event will be held at Hudson Heritage Farms at 14242 River Road South Boston, VA with the farm tour beginning at 6:00pm and Dr. O’Brien speaking at 7:00pm. 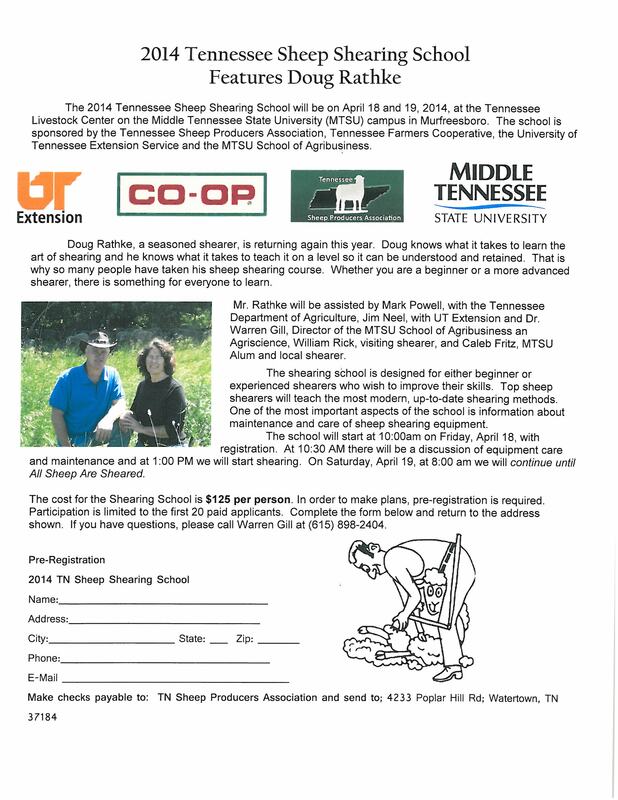 In addition, there will be an Extension demonstration on hay testing and information on forage and hay quality. For help with directions or questions call Chris Brown at the Halifax Extension Office (434) 476-2147.